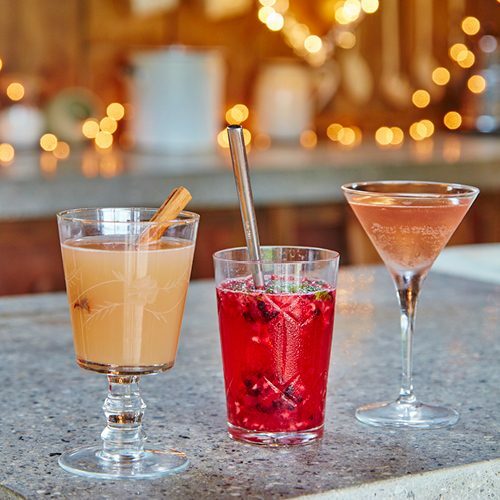 Take this Christmas party cocktail to the next level with spiced apple and kombucha – a gut-friendly ‘wonder tea’. Zest the lemon and orange, then cut the fruits into quarters. Place all the ingredients, apart from the kombucha in a large pan. Heat gently and let it simmer for 20 minutes on a low heat. Depending whether you like bits in your punch, filter using a sieve and leave to cool. To serve, ladle the spiced apple juice into a cup and top up with kombucha Garnish with a cinnamon stick if desired.